As you may know from my previous blog posts, I have been working on analyzing the faunal remains from Campus Archaeology excavations. My current research project focuses on the Saints’ Rest trash midden, excavated in several seasons by CAP near the location where Saints’ Rest once stood. Because of the sites’ use as a small public dumping area, the artifacts recovered are expected to reflect the daily life of those living at and nearby Saints’ Rest dormitory. The end goal of this research project, in conjunction with research by Lisa Bright, Amy Michael, Jeff Painter, and Susan Kooiman, is to better understand the everyday lives of the early MSU students. So far this year, I have been examining the ceramics from various assemblages associated with early Michigan State. While I have looked at what types of dishes were present and how they were used, I have not looked at how these assemblages compare to other sites in the Midwest. Comparative analyses are one of the most powerful tools that archaeologists use to learn about the past. Not only are they great for looking at similarities and differences between sites and people, but they can also be used to look at larger social and economic processes, such as the intersection of class and wealth, that go into the choices made by people. Here, I will compare the tableware assemblages from historic MSU with those from various contemporary sites in the Midwest as a way to better understand the different choices made in terms of purchasing and the rationale behind them. At MSU, the majority of the dishes that we find from MSU are inexpensive plain or embossed/molded whitewares and plain or simply decorated industrial wares. These are typically associated with dorms and student life on campus, and were purchased by the university for everyday student use in dining halls. Much more elaborate and expensive ceramics, decorated in many patterns and colors, are associated with faculty houses on campus, which were likely purchased by the faculty using their own funds. Whiteware from West Circle Privy. Various decorated ceramics from the Gunson assemblage. Ceramic assemblages are somewhat similar at other sites. 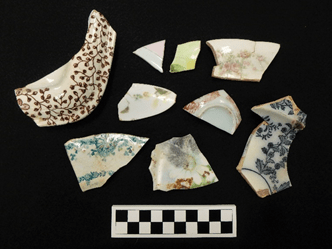 At the Woodhams site, an urban farmstead in Plainwell, MI owned by families of modest means, there were about twice as many undecorated whitewares as decorated whitewares. While not common, decorated vessels were relatively expensive transfer printed and decalomania dishes (Rotman and Nassaney 1997). In the former Corktown neighborhood of Detroit, the home of working class immigrant families, people relied heavily on mass-produced whiteware vessels that were cheap and easily accessible through local merchants. Despite this, some more expensive wares were also present, such as porcelain teaware, English transfer printed dishes, and other imported decorated vessels. Interestingly, the homes in the area all differed in the types of dishes, wares, and styles that they bought, highlighting the greater selection available to those dwelling in a growing city and consequently the greater ability to differentiate oneself through decorative style (Ryzewski 2015). At the Clemens farmstead in Darke County, Ohio, the home of wealthy free African Americans, 81% of the tableware were plain whitewares, while the rest of the assemblage was made up of a small number of hand painted or transfer printed vessels. While this family had enough money to buy expensive dishware, they chose to be conservative with consumer goods while broadcasting their wealth through architecture and improvements to their land (Groover and Wolford 2013). 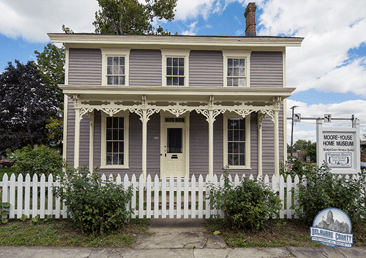 For those who lived in the Moore-Youse House in Muncie, Indiana, a middle-class family influenced by Victorian ideals and class consciousness, the possession of decorated and expensive tableware was more important. Out of all of the tableware recovered, most was whiteware and ironstone, and 48% of it was hand painted. Out of the other decorated vessels, 44% were transfer printed ceramics. While porcelain was not present, the high number of decorated ceramics suggest that this family spent a considerable amount of money in order to have fashionable tablewares that demonstrated their social class (Groover and Hogue 2014). Moore-Youse Home Museum, Muncie, IN. Image source. While these different homes are similar to MSU in the types of ceramics that are found, they represent very different choices and needs. For individuals and families, their decisions in what tablewares to purchase are often based on cost, personal style, and the ways in which they wished to demonstrate their social standing within the Victorian world. For example, the Clemens family chose to use simple ceramics while improving their home and the grounds, making it one of the few examples of expensive Victorian architecture in the region and a clear statement of their social standing to all who passed by. At the Moore-Youse house, the family chose to purchase more expensive and fashionable tableware, which would have displayed their standing to those who were invited into the home. Some of these same concerns are reflected at MSU, such as in the delicate and expensive tablewares sometimes purchased and used by faculty living on campus, but we also must consider the institutional context that is much different than the homes discussed above. At early MSU, the university needed a large number of dishes to supply their student body, as well as dishes that were durable and would survive abuse by students on a daily basis. Faculty may have needed more dishware as well, as some of them often entertained groups of students and visitors during the academic year. On campus, one needed to consider such factors as durability, the economics of supplying and entertaining a lot of people daily, and having dish sets that were similar so as not to alienate certain divisions of the student body. Both MSU and different homes in the Midwest had access to similar ceramics, but made choices based on different needs, so we must take this into account and interpret ceramics from campus using a different mindset and theoretical base. Only using economic scaling models, as is often done with ceramic assemblages from homes, misses many of the more nuanced aspects of ceramic selection that takes place at an institution such as Michigan State. 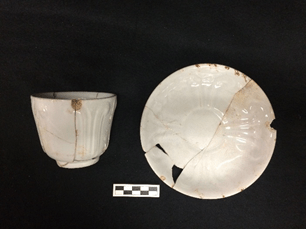 2014 Reconstructing Nineteenth-Century Midwest Foodways: Ceramic and Zooarchaeological Information from the Moore-Youse House and Huddleston Farmstead. Midcontinental Journal of Archaeology 39(2):130-144. 2013 The Archaeology of Rural Affluence and Landscape Change at the Clemens Farmstead. Journal of African Diaspora Archaeology and Heritage 2(2):131-150. 1997 Class, Gender, and the Built Environment: Deriving Social Relations from Cultural Landscapes in Southwest Michigan. Historical Archaeology 31(2):42-62. 2015 No Home for the “Ordinary Gamut”: A Historical Archaeology of Community Displacement and the Creation of Detroit, City Beautiful. Journal of Social Archaeology 15(3):408-431. While ceramics from the Early Period of Michigan State were primarily inexpensive, simple, and durable institutional wares, assemblages changed along with the campus. One of the main changes to take place was the increased number of delicate and stylishly decorated serving dishes, some of them made of porcelain. Porcelain was a highly sought after ware type that was expensive to buy and considered a status item by many elite of the day.  Its value was based both in its technical prowess and its history. To make porcelain, it requires relatively pure white-firing clay, ground quartz, and something known as a flux, usually a type of rock composed largely of feldspar. These three substances are mixed with water and used to form the shape of the vessel. Once the vessel is ready, it then must be fired to a temperature somewhere between 1280°C and 1400°C, hotter than any other type of ceramic ware. When fired to this temperature, the feldspar in the flux melts and mixes with other minerals, creating a glassy ceramic body that is hard and translucent. While this might not sound too hard given our knowledge of modern technology, it is actually quite difficult! In order to make porcelain, not only did potters have to find the correct combination of materials, but they also had to invent new firing technology that could hold enough heat to correctly fire porcelain. This required immense knowledge, skill, and trial-and-error, as people who first produced porcelain did not have machines who could characterize raw materials for them, process and purify those materials, regulate the temperature and environment within their kilns, or even paint the intricate designs for them. Overall, porcelain wares were the most complex and difficult to make vessels during this time and were considered the height of ceramic technology. For much of their history, access to them was also difficult. True porcelain was first made by Chinese potters at Jingdezhen in the 13th century. While proto-porcelain or porcelain-like wares had been made in China for centuries, the characteristic hardness and translucency of true porcelain was developed at that time. Shortly after its invention, porcelain became a valuable commodity, but like all ceramics, it was difficult to transport over land. Vessels were sometimes large, always fragile, and when packed together for transport, could weight quite a lot, so porcelain was not a great item for the major over-land transportation routes of this time, such as the Silk Road. As such, Chinese proto-porcelain and porcelain were not widely traded until maritime trade in the region expanded. Once maritime trade increased, porcelain became hugely popular in many areas, including Korea, Japan, the Philippines, India, and farther west toward the Middle East. The trade for Chinese porcelain became so popular in these regions that it had dramatic effects. In the Philippines, it was quickly incorporated as a prestige item and as an object of cosmological and spiritual importance, so much so that many local potters could not compete, devastating local pottery traditions. 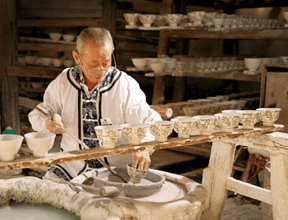 In Korea, potters were able to recreate the process of making porcelain, allowing them to emulate Chinese ceramics. For the Japanese, porcelain was so valuable a commodity that during an invasion of the Korean Peninsula they targeted Korean pottery workshops in order to capture potters who knew the secret of porcelain-making so that they could begin production for themselves. 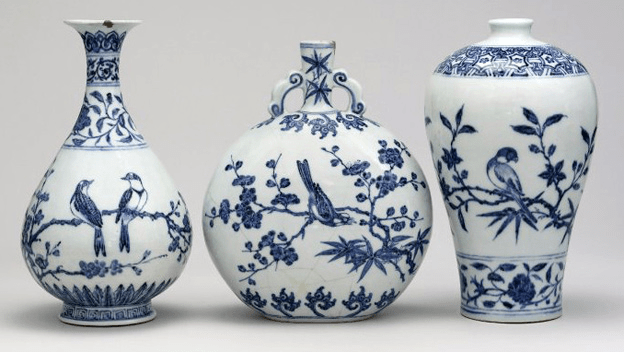 Chinese porcelain was also influenced by others, as Chinese potters borrowed the innovations of Persian potters with cobalt to make the blue decorations used on world famous blue-on-white Ming Dynasty porcelain. Portuguese traders in the early 16th century were the first to bring Chinese porcelain back to Europe. At this time, the flow of porcelain to Europe was very slow and most pieces ended up in the hands of the aristocracy. 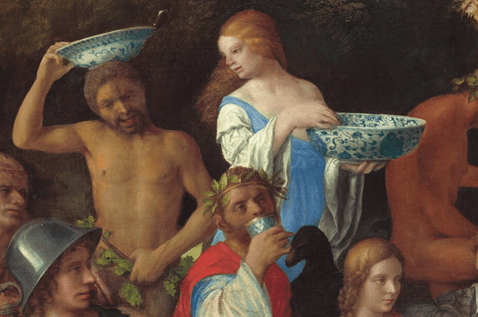 It was not until the early 17th century, when the Dutch were able to begin importing large amounts of Chinese porcelain in the form of dishes and display objects, that it became a major commodity for a larger portion of European society. This popularity was aided by a few factors. First, foodways in Europe were changing at this time, as drinks like tea and coffee became more popular. Communal dining also was declining in popularity, especially for those who could afford the dishes necessary for individualized dining settings. Both of these changes necessitated new dishware. The fact that the first porcelain shipments all ended up in royal and aristocratic hands also helped increase the popularity of porcelain, as it was seen as a great marker of status and wealth, one required for all those wanting to demonstrate that they belonged in elite circles. While porcelain was widely popular with the upper classes in Europe, it was still an expensive import that many could not afford. For instance, a set of personalized porcelain dishes typical of those desired by the elite cost over 10 times the amount of an ordinary setting. It is no surprise that shortly after a market for Chinese porcelain was established in Europe, European pottery makers began experimenting with porcelain production. One of the first pottery workshops to produce European made porcelain was funded by the Medici family in Italy during the late 16th century. While they were able to produce porcelain, it was a type of “soft-paste” porcelain, which had similar translucent properties but was not as strong as Chinese porcelain, which is considered to be a “hard-paste” ware. It was not until 1708 in Saxony that a method to make “hard-paste” porcelain in Europe was developed. A major workshop in Meissen was quickly opened for production and China lost its world monopoly on the production of high-quality porcelain. While Europeans could now buy locally-made porcelain for their homes, Chinese imports were still highly desired symbols of wealth and status. While I have not yet followed porcelain’s crossing of the Atlantic, it is the history explored here that forms the roots for the meaning and value of porcelain in the early United States. In Part 2, hitting newsstands soon, porcelain will reach the New World and make its way through time and space to historic MSU, where fine porcelain ceramics met the needs of administrators at a Great Lakes institution. Finlay, Robert 1998 The Pilgrim Art: The Culture of Porcelain in World History. Journal of World History 9(2):141-187. Rice, Prudence M. 1987 Pottery Analysis: A Sourcebook. The University of Chicago Press, Chicago. Shulsky, Linda R. 2002 Chinese Porcelain at Old Mobile. Historical Archaeology 36(1):97-104.